Lili Bermuda — Factory Design Worx INC. The Bermuda Perfumery, established in 1928, carried on the tradition of “telling Bermuda’s story through fragrance”. 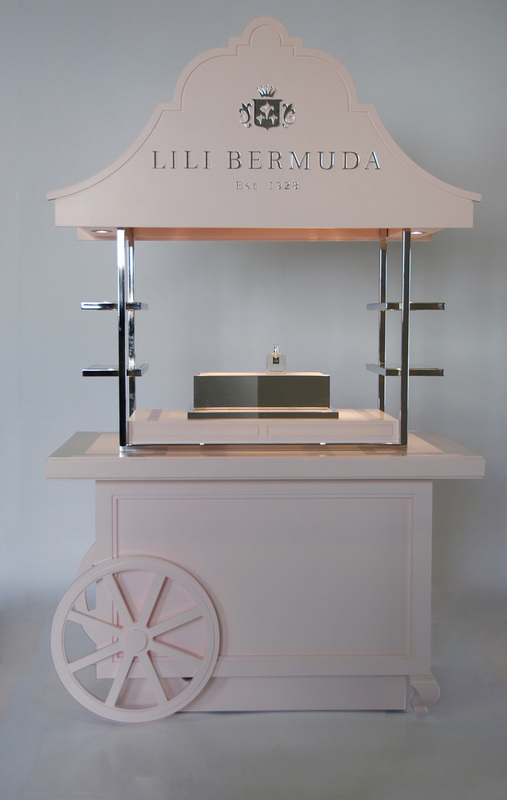 The new proprietor and acclaimed Perfumer, inspired her own Lili Bermuda fragrance line, solely handcrafted in Bermuda. 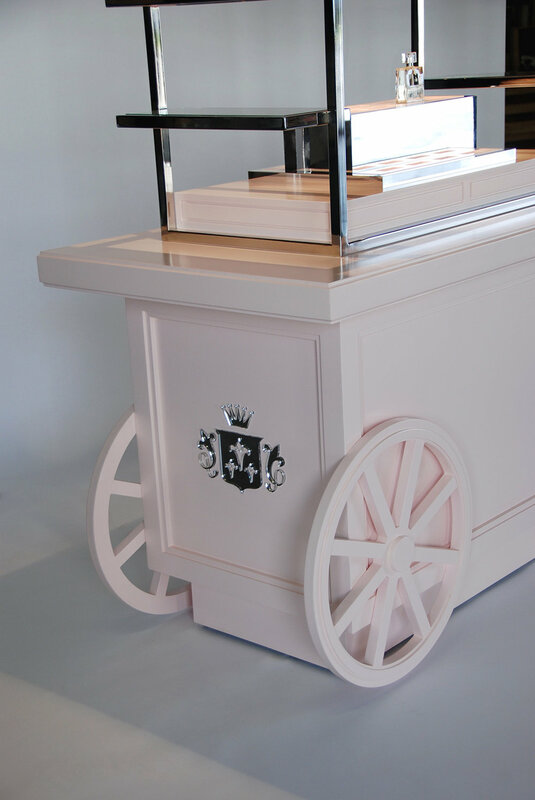 To tell her product story beyond their various standalone locations, the Owner reached out with the challenge to design a display cart to showcase her fragrance offerings. It would be showcased as a shop-in shop opportunity in retail locales around the island. 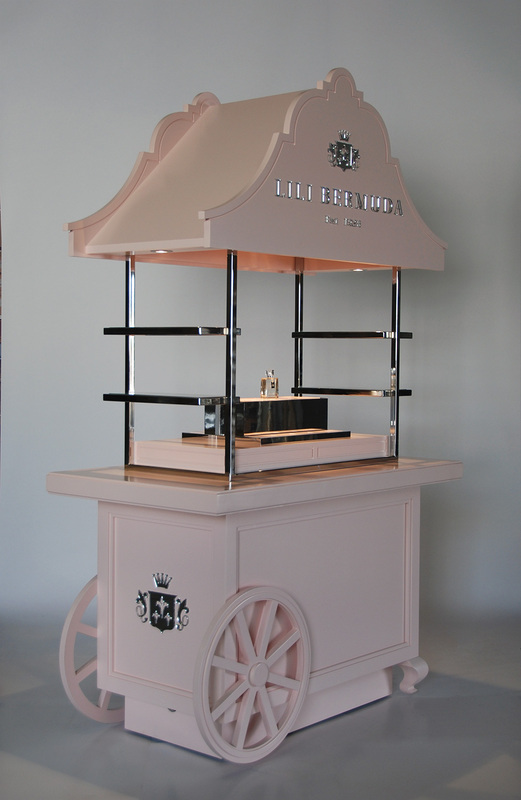 Designed to reflect a Bermuda sensibility with its traditional Bermuda roof gable styling and color palette, incorporating varied product display options and integrated lighting, the cart was also to emulate the same elegance and softness of the Lili Bermuda fragrances.